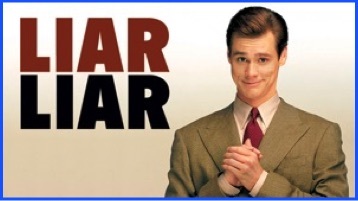 Jim Carrey, depicting my life story in the movie Liar Liar. // note: C bit only affects whether or not the cache is written to. Cache is always searched on reads. // Signals if the processor is taking part in coherency or not. cmpeq r2, #0 // did this succeed? If you haven’t guessed by now, here is where you find out I’m a fraud and have been deceiving you. This whole time I’ve been passing this project off as bare metal when its really not. When I first started I had even less of an idea what I was doing than I do now, and decided to take the advice of the excellent Cambridge RPI OS tutorials and piggyback off some of the config files Linux installs to the SD card. This becomes very important as we are about to go multicore. I kid you not, this is all you have to do to start the cores. Write the address you want a core to jump to to a special mailbox address, and then they just go. This is the magic of piggybacking. Since real documentation for stuff like this is pretty much non-existent, these addresses were obtained by seeing what the Broadcom guys did in Linux (henceforth known as the WWLD strategy) and by scraping together info from the BCM2836 manual. If you’re interested in what the addresses really are, they are CORE0_MBOX0_SET, CORE1_MBOX0_SET, CORE2_MBOX0_SET, and CORE3_MBOX0_SET. While our method of releasing the cores is different, we still have to do a similar setup as above. If you need a refresher on MMUs, go see blog chapter 5a because I’m going to try and stick to describing the changes alone. The primary change is we now have to worry about coherency, and making sure the cores have coherent views on data. This is done with the B (bufferable) and C (cacheable, only affects writes as the cache is always searched) bits, as well as the TEX bits and S (shareable). Technically its the S bit we’re interested in, but we do also want to turn on the D$. Note we don’t want to map peripheral memory or mailbox memory as cacheable for obvious reasons. Another thing we now have to do that we didn’t have to do before is to set the SMP (symmetric multiprocessing) bit. This signals that a core is taking part in coherency. After which we should invalidate. Note that the way to invalidate the d$ involves looping over sets and ways. The days of being able to do it via a single coprocessor instruction are over. One thing I do want to address is the subject of inner and outer cacheability. On this system, I believe both the L1 and L2 are considered inner domain since they are on-chip. Outer might be another processor’s cache in a big.LITTLE setup for example. This is why we won’t need to worry about the Snoop Control Unit. And finally, as an added bonus, an atomic spinlock you can play with to implement basic locking. Its not the best way of doing things, but for test purposes it gets the job done! Note DMB is data memory barrier and not a comment on how dumb this code is. Thats all for now. Since the cores are spinning and doing somewhat useful work, we should probably eventually talk about threads and schedulers. However, before going there I will take a brief detour and implement fibers as a testbed for saving and restoring contexts. Also because fibers are amazingly useful. There is that too.